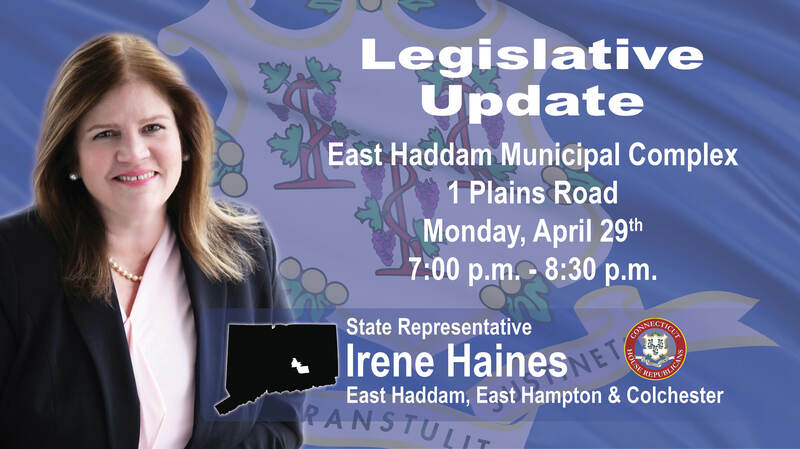 HARTFORD — State Representative Irene Haines (R-34) has announced that she will be hosting a legislative update to provide residents the opportunity to hear the latest updates from the State Capitol and ask questions. The major topics discussed will include school regionalization, taxes and tolls. The event is free and open to the public. Rep. Haines encourages residents to attend this meeting, as it is an opportunity to discuss major issues that are shaping the 2019 Legislative Session. For more information, please contact Rep. Haines at 800-842-1423 or email Irene.Haines@housegop.ct.gov.